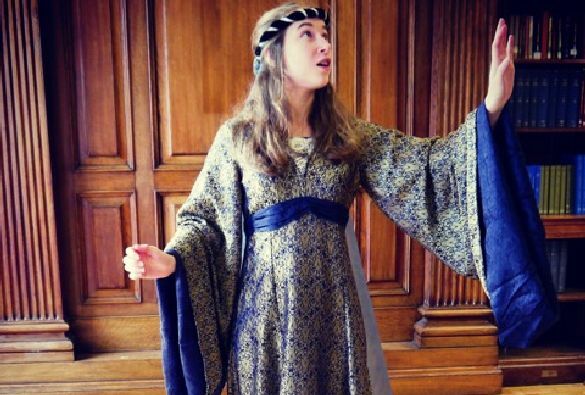 Madelaine Smart, a School of the Arts PhD student, is the leading lady in the Liverpool University Players’ production, ‘The Werewolf’, as part of the Being Human Festival. She talks here to fellow School of the Arts student, Ella Poyzer, about her role within the play and how being part of the Players has helped her to enhance her career. 1. Is there anything you feel that a modern audience could learn from this play? “I think a modern audience could learn that these medieval texts are not as daunting as perhaps they may at first appear. I am a strong believer that Medieval and Shakespearean texts would be made more accessible by just telling the stories. 2. What does Bisclavret reveal about the medieval perception of what it means to ‘be human’? 3. Is there anything you have found challenging about your role so far? 4. Bisclavret deals with themes of betrayal, yet at the same time there are a number of comedic elements. Is it more satisfying to make an audience laugh or cry?